Our beautiful Alpaca yarns have been lonely for too long so I have decided to let them go at great savings. All remaining stock will be discounted until these beautiful skeins and cones have found a new home. Now’s the time to add some to your stash. 100% Super-fine Alpaca made in Peru. 1330 yds/lb. 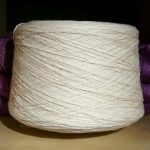 Available in 1/2 lb skeins – 664 yds/skein. 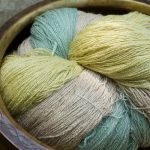 We carry this yarn in two styles, Prime and Tweed. 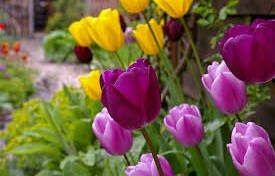 All colours are naturally occurring. It truly is a heavenly fibre. In plain weave the prime Alpaca weaves up beautifully at 10 epi and the Tweed is fabulous at 8 epi. Both variations full beautifully. Lace weight Baby Alpaca. 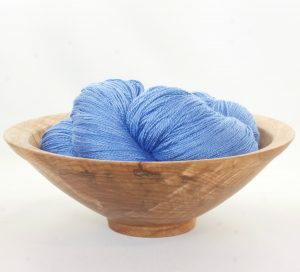 This yarn is spun from the finest quality of alpaca fibre. It knits or weaves to a luxurious, supersoft hand. It is beautiful as a weft on a silk warp. After you finish your project all it needs is a gentle wash in warm water, a rinse and hang to dry. Finish off with a nice steam press. 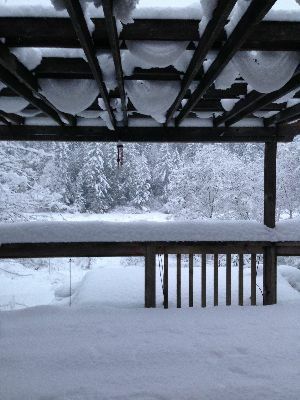 Do you remember those gorgeous blankies from last newsletter? Well I just couldn’t stop working on them. The first lot were soft and subtle in their colour ways and you know me… I love hot and humid, LOL. So here you go… two limited edition colour ways: Salt Spring Berries and Carmanah Caress. Get set to learn about Cramming and Denting in the next episode airing February 7th. It is the perfect technique to follow on the heals of Denting which we did in January. 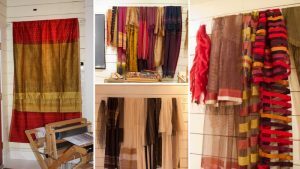 I have had a few requests to write a bit about the weavers of India and those beautiful fabrics you seeing hanging in the studio during the videos. I will add a new post to these threads every month and you’ll see just why I’m always talking about these artisans. They are so inspiring. 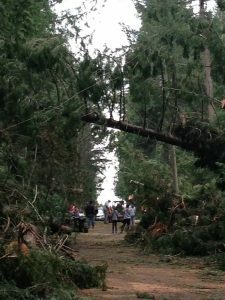 We were so ‘on it’ with the Christmas newsletter except we had hurricane winds that completely shut down our little island on December 20th… WOW… what an event. Alas, you are getting that newsletter today. 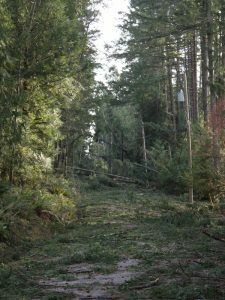 We were without power for seven days and three hours… but I really wasn’t counting 🙂 Then we had a ruptured water line that got fixed on New Year’s Eve, so all in all it wasn’t quite the restful holiday that any of us were hoping for. BUT… we are all well and groovin’ into the New Year. For the past two years my sweetheart, Grant, has been whipping up some pretty delicious lunches for our in-house workshops. We have been promising to share a few for some time… so here goes. 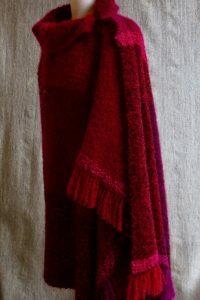 For years I have been wanting to make a mohair blankie with a mohair bouclé warp and weft… and finally… I’ve made two. Oh my goodness I can’t tell you how amazing they are. To hold one of these blankies is to hold a soft curly cloud. Cheryl (our ab-fab dyer) hand dyed the yarn in several soft neutral colours and then I went to town. 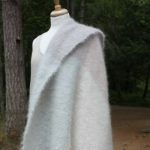 I warped the way I demonstrate in the Online Guild Season 1 Episode 10 and it was oh so easy… the bouclé is easier to warp than brushed mohair. I used some heavier mohair bouclé as accents to divide the space. We’ve made a limited edition of this very special project…. just six kits of each colour way. Have a peek. I just want to take a moment to thank you all for a fabulous year, so from everyone here at JST…… We wish you health, happiness, peace and joy. Take this opportunity to stock up on all your favourite yarns. 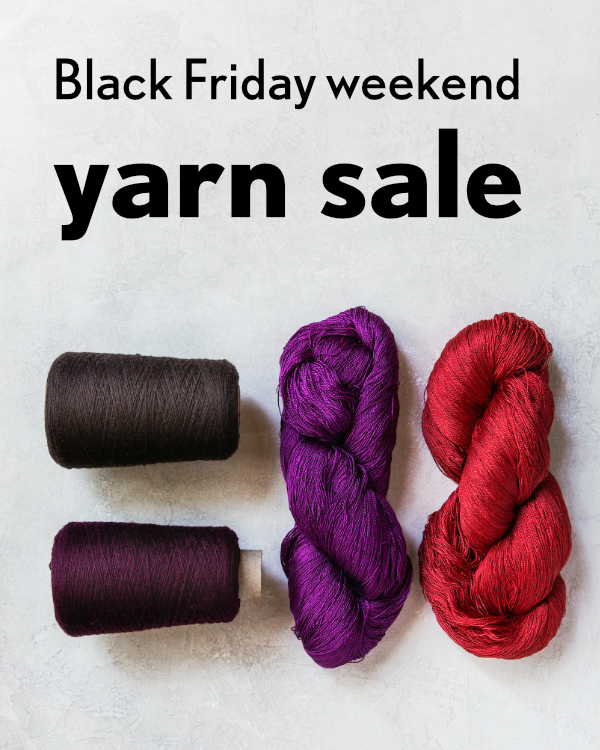 This weekend only, all yarns 10% off. The festive season is just around the corner… if you’re looking for some great stocking stuffers for the weavers in your life we’ve put together a list of some of our favourite products. Just wanted to let you know that we’ll be releasing our wee promotional video on December 6 about what’s coming your way in 2019. 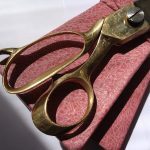 Pushing the boundaries of plain weave is the workshop we’ll be featuring. If you’ve been wondering about denting, cramming & denting, log cabin, warp-faced, weft-faced, double-weave, collapsed weave and supplementary warps then you won’t want to miss next year. 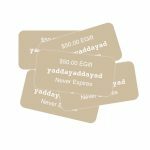 Sign up before December 7 and you’ll get it at the current price of C$75 / year. Fall is my favourite time of year. It brings cooler weather but with bright sunshine; the garden is overflowing; the apples are pressed into juice (this year we did our apples and pears together and it is fantastic. Just sayin  ). I have an amazing staff running my business. And, not least, I have been able to spend my life weaving and fostering our little business. Few of us would be doing what we get to do (weaving and spinning and knitting) without all the farmers who grow the fibre in our yarns. 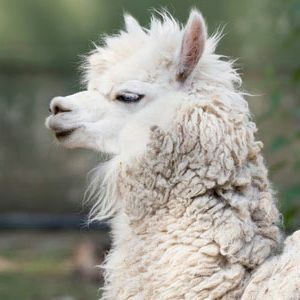 When I think about it, we have silk rearers, flax growers, cotton farmers, and shepherds shepherding all those beautiful hoofed beasties – the alpacas, the angora goats, the numerous breeds of sheep – all working for us. Then there are all those hard-working folks who turn the fibre into yarn and all the dyers who pour their colourful hearts into it. An army of artisans stands behind every cone of natural yarn, and I am thankful to all of them. A few weeks back I was cleaning up some really old files and I came across my very first order to Henry’s Attic back, in January of 1992. I was reading the list of yarns on that order and I realized that we still sell all those same yarns. Now, I have never met either Henry or Samira, but I feel like I know them somehow after all these years and I’m thankful to them because they have been at this forever, too. Then I started to think about all our other yarn suppliers and the mills we have been dealing with for all these many years and there are so so many. I am grateful for all these long-lasting partnerships, alliances, and connections. And then there are all my students and customers and members of the Online Guild, we would not be here without you. Thank you from the bottom of my heart for trusting in me and supporting me personally and JST as a business. I am so grateful. A few weeks back Joan and I were wandering around the yard marvelling at all the fall colours. 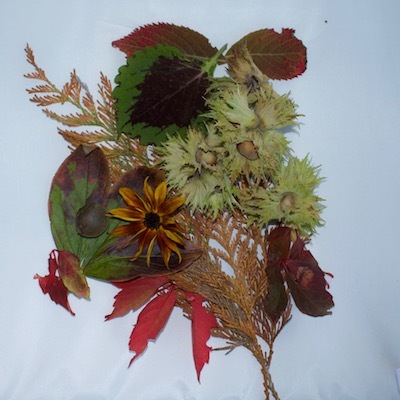 We started to collect little piles of leaves, twigs and Japanese maple helicopters  , it was such a beautiful pile. When we got back to the studio I was looking at all the amazing colours and decided to design the Harvest Splendour Organic Tea Towel Kit. I started with a 3 stripe overall division of space but after I wove them I decided to make the sides a bit narrower and the centre stripes a bit wider. 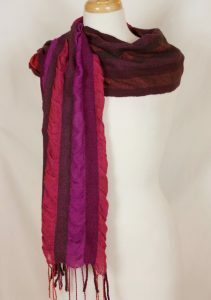 I know this will give you more curry and brass to play with while weaving and I love those zinger accents in the weft. 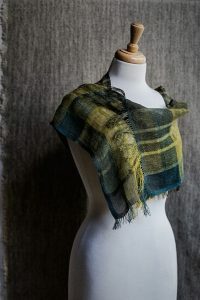 I also decided to weave these in Venne Organic 8/2 cotton, it was a no brainer… it was Mother Earth who provided such brilliant inspiration and therefore I needed to honour her by using the kindest yarn we sell. Organic cotton is kind to the earth, plain and simple. The price we’re paying for mohair has increased. We’re going to hold off increasing our prices until Nov 1. 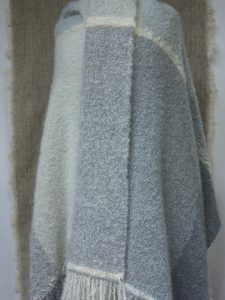 If you were thinking of making one of our mohair blanket kits – Spring Stripes, Three Stripe or Two Stripe – then now is the time to buy it… unless you foresee a slump in the worldwide price of mohair. 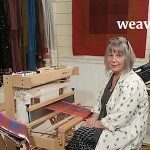 Jane chatted with Weave Podcast host, Sarah Resnick, about the Online Guild and weaving in general. 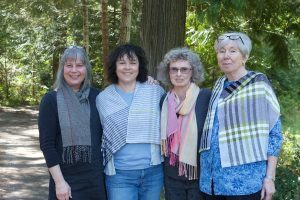 Listen to Episode 36: Online Weaving Guild with Jane Stafford. When I first envisioned the Online Guild I budgeted to present one hour of video each month. All the filming we have done in 2018 and for 2019 has produced videos that are 2-3 hours long! I have completely blown my budget. But how can I cut anything out? I just can’t! 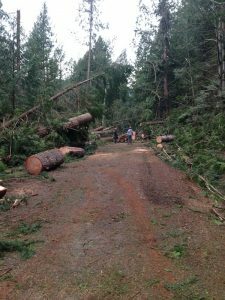 Alas, after much number crunching the Online Guild dues are going up to $99 (Canadian) starting December 7, 2018. If you’re not already a member Online Guild, you can Join the Online Guild before December 7 at the original rate. If you are a member, unfortunately our system doesn’t allow renewal in advance. To celebrate the upcoming legalization of cannabis in Canada we’re having a sale on all things pot related: Potholder Loom Deluxe and Lotta Loops. 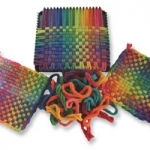 Potholder Loom Deluxe makes six technicolour potholders whilst Lotta Loops is a 1 lb bag of cotton loops that fit the Potholder Loom Deluxe and makes approximately ten gaily coloured potholders. Get bonged up to your eyeballs and get weaving! 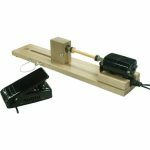 We’re also celebrating the close of the cricket season – who really understands the difference between silly-mid-wicket and a googly – by putting on sale the Stand for Schacht 15″ Cricket Loom, the Schacht 15″ Variable Dent – Rigid Heddle – Reed and the Schacht 15″ Cricket/Flip 10 Dent Reed. Taking inspiration from the greys and white seen on the mountains in Garibaldi Provincial Park in beautiful British Columbia, I’ve created two tea towel kits. The Garibaldi Flats Tea Towel Kit- 4 shaft version is great for beginners whilst the Garibaldi Flats Tea Towel Kit- 8 shaft version provides more of a challenge. We underestimated the popularity of the Undulating Twill Tea Towel Kit and sold out almost immediately. Fear not, we’re back on our game and have loads more in stock. 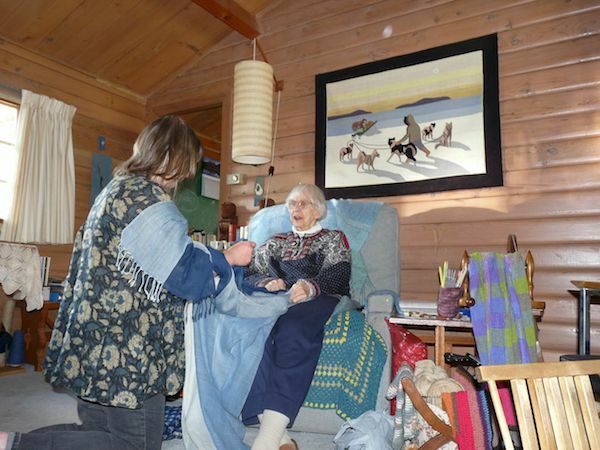 Last week Alberta and all of Canada lost one of our most treasured weavers. Mary Garnham Andrews passed away at the age of 102 in Banff Alberta. Mary shared her love and vast weaving knowledge with weavers across this country for over five decades and she influenced my weaving path more than any other teacher. I would not be the teacher I am today if she had not been my weaving master. It was the Spring of 1981, I was 22 years old and living in Thunder Bay where I was born and raised. I was a ceramics major at Lakehead University and was having a secret love affair with a loom in my mother’s basement. There was a big poster in the ceramics studio advertising summer classes offered at the Banff School of Fine Arts in Banff Alberta… that was so far away ALBERTA! Multi Harness Techniques!!!! I thought, why not… two weeks on a big adventure all by myself, driving across the country in my brand new Chevrolet Chevette rocking on to the Doobie Brothers… what could be better than that. And after all, I had woven a set of placemats, an entire Overshot coverlet without alternating tabby picks between pattern picks and a blanket that stood up in the corner all by itself. I was sure I could handle a Multi-Harness loom or anything else that came my way. I should have realized that summer that I had an angel on my shoulder guiding my every movement because Mary Andrews accepted me into her workshop and my life was forever changed. Mary was formidable. Her knowledge and her presence demanded respect and I held her in awe. I was very nervous… she was a tad stern and I was… well ‘me’! She was dressed in a royal blue pant suit with her trademark Bob haircut and that wonderful smile. At that time Mary was many many things… a serious weaver, extremely disciplined, a technical perfectionist, a traditionalist but with intense curiosity about modern things and a superb and demanding teacher. 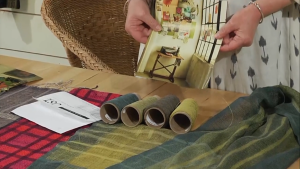 I was the youngest person in the room, an aspiring hippie and remember… had woven exactly one set of placemats, one overshot coverlet without any tabby and a blanket that could have been used as a sheet of plywood… I might add that each of those projects were the most remarkable weaving I had ever seen up to that point. Within moments I was scared to death. Mary’s class was formatted so that she lectured in the morning and we wove in the afternoon. I learned so much in the next two weeks… Mary taught me how to do read patterns, how to do draw-downs, how to hemstitch, how to do name drafts in overshot and that overshot had alternating tabbies between pattern picks :A), she taught me how to sit at the loom properly, how to hold a shuttle, how to control my selvedges. She taught me what the numbers mean in 2/8, what cellulose and protein fibres were. She gave us graphs with so much information crammed into them, sett charts, yardage charts, reed charts. She taught me the Fibonacci numerical series and the Golden Mean. In two weeks she crammed everything she could into my little brain and I learned that I could weave anything if I could read a draft. I made it through all 12 samples alive. I did not understand a great deal of it, but I had a binder full of notes that I continue to learn from to this day. She taught me the four P’s: with Patience and Practice you Persevere for Perfection. I have quotes she shared with us all through my book, “I hear and I forget, I see and I remember, I do and I understand”. Mary Andrews was a gem, she was the weaving worlds national treasure, she was a flower of Alberta. Her greatest gift was her ability to share her knowledge which she did with grace and kindness. Bom in Montreal Quebec in 1916, Miss Andrews affinity with the “Comfortable Arts” was apparent at an early age. At the age of 23 while working as a senior counsellor at Taylor Statten Camp in Ontario, she was exposed to the craft of handweaving. On her return to Oshawa in 1939 she immediately bought the first of her 11 looms and began a life long study. Through correspondence with Harriet Tidball of the United States, Mary studied textile theory and cloth construction. In 1943, while in charge of Occupational Therapy at the Royal Edward Laurentian Hospital in Ste. Agathe des Monts, Quebec, she began a teaching career that spanned more than 50 years. From 1943-1948, Mary set up the Ontario Government Home Weaving Service, an agency designed to revive handweaving and encourage a cottage industry. Along with two other weaving teachers she taught and developed the project throughout Ontario. During the last year of this programme Mary continued her own studies at the Penland School of Handcrafts in North Carolina, USA. In 1948 Mary was appointed Assistant Programme Director for the YWCA in Oshawa. She spent the next six years teaching handweaving, leatherwork and metalwork to hundreds of students. It was during these years that Mary first travelled west to study at The Banff School of Fine Arts with two of Canada’ finest weavers, Ethel Henderson and Mary Sandin. 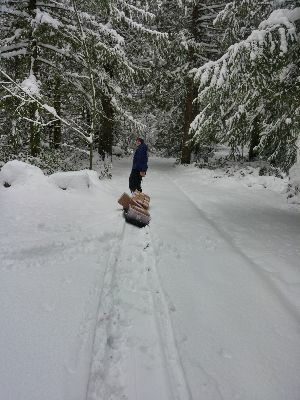 It was during these visits that her desire to reside in Alberta was kindled. Mary joined the Canadian Red Cross in 1954 and served as a Rehabilitative Therapist in Korea and Japan after the Korean War. After working for 18 months on a Welfare Team she travelled through 13 countries working her way back to Canada in 1958. On her return to Canada she was appointed Director of Handcrafts at the Grenfell Labrador Medical Mission. She travelled throughout Northern Newfoundland and Labrador teaching handweaving, embroidery and traditional rug hooking to its residents with the intent of developing cottage industries that could subsidize the fishermen’s incomes. She remained in Labrador until September of 1962 when she purchased her home in Banff and realized her dream of living in Alberta. From 1962-1975, Mary taught at The Banff School of Fine Arts where she developed the programme from a six week summer course to a two year Diploma granting programme. Through her early guidance and insistence that Visiting artists be brought from around the world, the Fibre Department became a widely renowned centre of study for the Textile Arts. Mary retired from The Banff Centre in 1975 and spent another five years teaching and lecturing all over Western Canada. 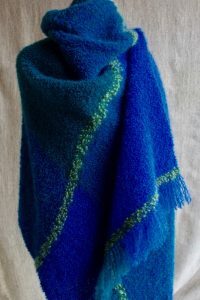 In 1984 she developed a four year summer weaving programme for Olds College where her students prepared for the Canadian Guild of Weavers, Master’s exams. 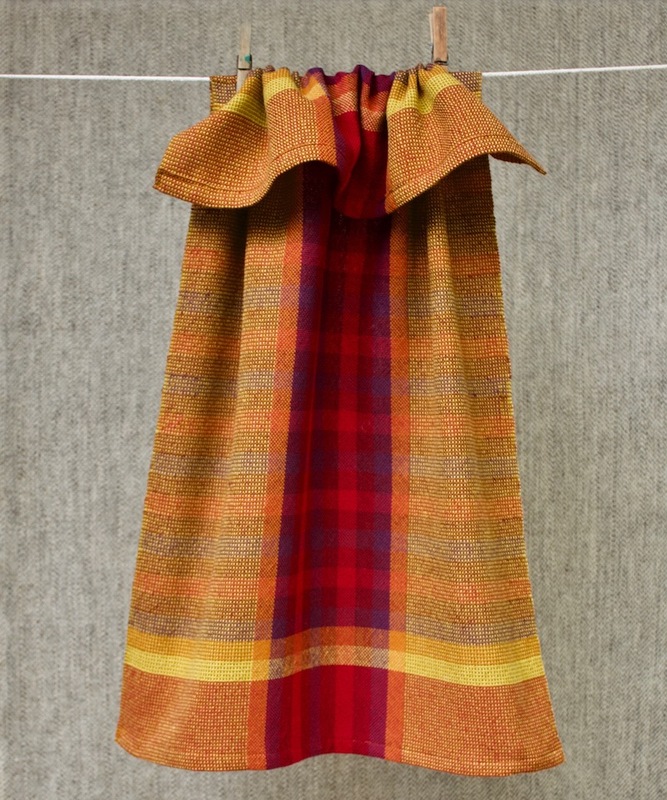 One of Mary’s greatest personal achievements was earning her Master Weavers certification from the Guild of Canadian Weavers in 1972 and she later published her Master’s Thesis “The Fundamentals of Weaving” with book three finished in 1994. Throughout this massive three volume endeavour she was assisted by Ruth Hahn who provided all of her IT support. She also spent a great deal of time serving the community of Banff by working in the Banff Library several mornings a week and donating her weaving for auction to raise funds for community projects. In her late seventies she was still taking courses in English Literature and Philosophy from Athabasca University. Mary lived in her log home on Squirrel Street until 2013 when she moved into a Seniors Lodge and then on to Continuing Care at Banff-Mineral Springs Hospital. Mary Garnham Andrews passed away July 30th, 2018. Mary always served these cookies to her students on the last day of class. I hope you’ll make a batch, brew a nice cup of tea and think of her while you enjoy. Mix wet with dry ingredients. 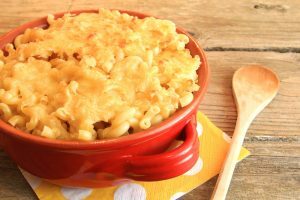 Spoon on to a greased cookie sheet, flatten and bake at 350 for 15 – 20 minutes (baking paper or butter). 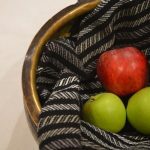 We have had so many requests for Sharon Broadley’s striped towel since it first had a starring role in one of JST’s Online Guild episodes, that she has consented to share her pattern! 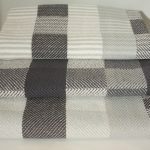 This towel has a lovely striping sequence moving from charcoal to dark grey to light grey and then to white, all laid on a black background. This tea towel looks very classy hanging from a stainless steel oven door. This kit will make 8 beautiful tea towels. We’ve been experimenting with dreamy colourways inspired by pistachios, flax and glaciers. There’s only a handful of sets available, therefore stocks are limited. 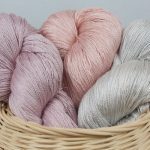 We’ve restocked last month’s lovely gradient pastel colourways. Again, there’s only a handful of sets available, therefore stocks are limited. Suitcase packed? Check. Dog’s in the cattery? Check. Mail’s on hold? Check. Floor loom packed into the station wagon? No?! You’re going on vacation without a loom and you call yourself a weaver? 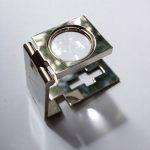 Maybe you’ve overlooked the Louet Erica, the mightiest little table loom that fits right in your luggage? 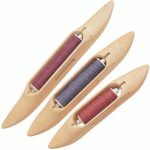 This ain’t no beginner’s loom and there has never been a better time to buy a Louet Erica 30 (2 shaft) or a Louet Erica 50 (4 shaft) as we have a very limited number in stock and on sale. 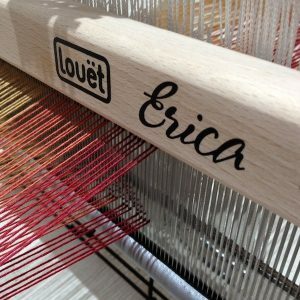 Can’t tempt you with a Louet Erica loom? Why not try something from our small loom range? 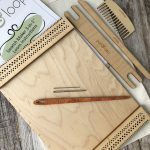 From the Schacht Zoom Loom through the Purl & Loop Stash Blaster down to the Purl & Loop Wee Weaver – you don’t need to pick up that iPad. 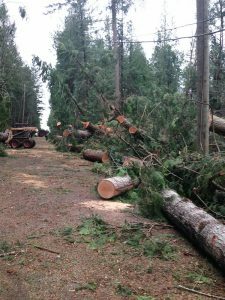 Looking for a summer project to complete in time for fall? 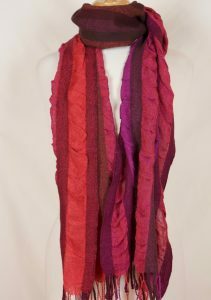 Look no further than these pucker up scarves. They’re a great introduction to simple collapse weave. 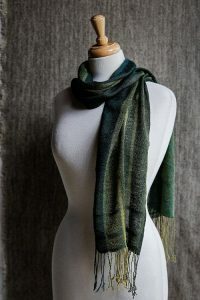 Each kit provides enough silk and merino to create two stunning scarves with finished dimensions of 12″ x 75″ plus fringe. All you need is a simple 4-shaft loom, a 10 dent reed and a weaving width of 18″. Available in these colourways: Mochachino, Autumn Equinox, Salish Sea, Under the Sea and Ha Cha Cha. Yeah, you could buy Organic 3/2 Cotton in 3 1/2 pound cones, but why risk putting your back out? Organic 3/2 Cotton in 1 lb cones are now available instead. 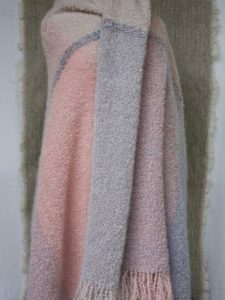 We’ve been experimenting with lovely gradient pastel colourways. 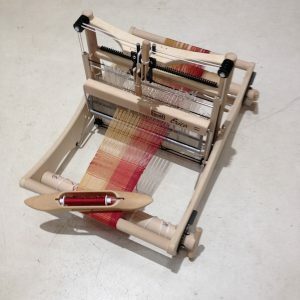 Have you ever struggled to remove a warp from your loom to use later? Of course you have, you’re only human right? Right!? 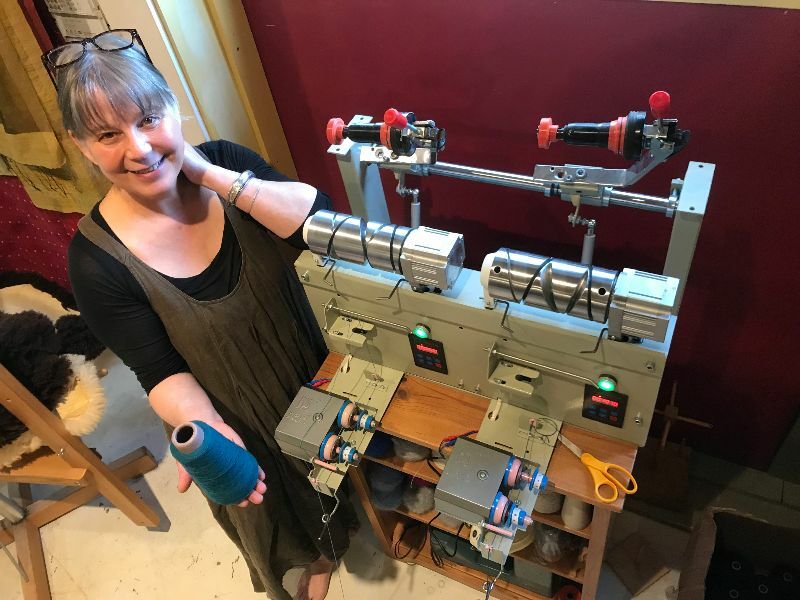 Well we’ve decided to highlight an underused part of the JST website, the JST Helpline and we’re starting with the article Removing a warp from your loom to use later, which sounds like it might be right up your street. Elizabeth has been honing her skills as a photographer and is doing a fabulous job. Check out our new Hand Dyed 20/2 Bombyx Silk and Hand Dyed 30/2 Bombyx Silk photos – I think the colours of the new photos are far more true. With the great weather comes great weavers dropping in for a visit, and show and tell. Anita Salman, Kathy Ready and Arlene Kohut are all regulars here at JST and they brought a great bounty of things inspired by the JST Online Guild lessons on Colour & Design. From left to right, the alluring Jane is sporting Anita’s scarf inspired by Online Guild Sample Kit #2 – Colour & Weave Gamp woven in Cashmere and Zephyr. Beguiling Arlene is wearing one of her beautiful towels inspired by Online Guild Sample Kit #1 – Asymmetry and the heavenly Kathy is flouting a beautiful cotton and silk scarf inspired by the same sample. Iridescent Anita is wearing two dish towels. 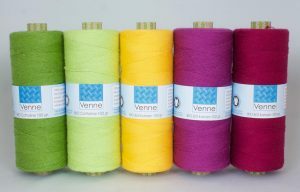 Those cute little spools of Venne Cottolin and cotton are on the shelves now. We were admiring all the wonderful colours of tulips so we have put together some bulb colours to celebrate the great change in weather. I didn’t think the grey weather would ever end this year but it is definitely gone. What did you want to learn about? Stripes! Zebras have stripes and everyone loves zebras. I love stripes… fat ones, skinny ones… fat stripes with skinny stripes on them… stripes rock! The stripe has an ancient textile history but hasn’t always been loved. For much of history the stripe was used to label you as an outcast of some sort a leper, a prisoner, a prostitute to name just a few. Stripes had to wait for modern times to be seen as loveable. Which is your favourite yarn to weave with?